High-end LG V30+ spotted at bargain price from Walmart! The LG V30 is a pretty cool phablet. It's thin, sleek, light, has a great AMOLED screen and the best haptic feedback we've felt on an Android phone, aside from the Pixel 3. 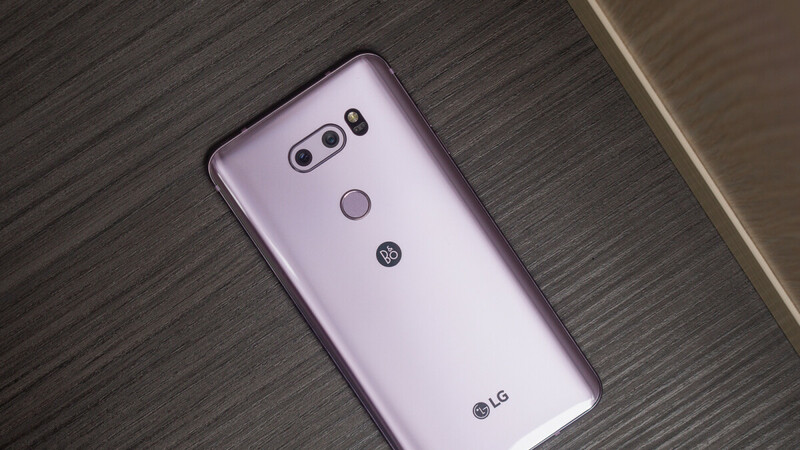 It comes with LG's dedicated movie-shooting suite, giving you fine control over microphone settings, zoom focus, and filters and makes use of a super-wide-angle secondary camera where the competition usually puts a telephoto lens or nothing but a monochrome sensor. All in all, it was a bit underrated and forgotten by the mobile phone fandom, but it's still around. In fact, its upgraded version, the LG V30+ (has more storage than the base variant), can be spotted for about $500 at various retailers. Admittedly, this may sound a bit pricey, considering it's last year's model. However, Walmart has a deal for you. How about an LG V30+ for $400? You get a Snapdragon 835, 4 GB of RAM, 128 GB of storage, all in a thin, light body that's almost all screen from the front. 400 bucks is a great price for a phone as stellar as the V30+ which I'm still rocking. I would certainly not call LG software support and camera performance sterllar. Great for a price, but it is a normal price around here, nothing extraordinary. LG prices usualy hit rock botom in 1/2->1 year life span, witch is pretty awesome imho.